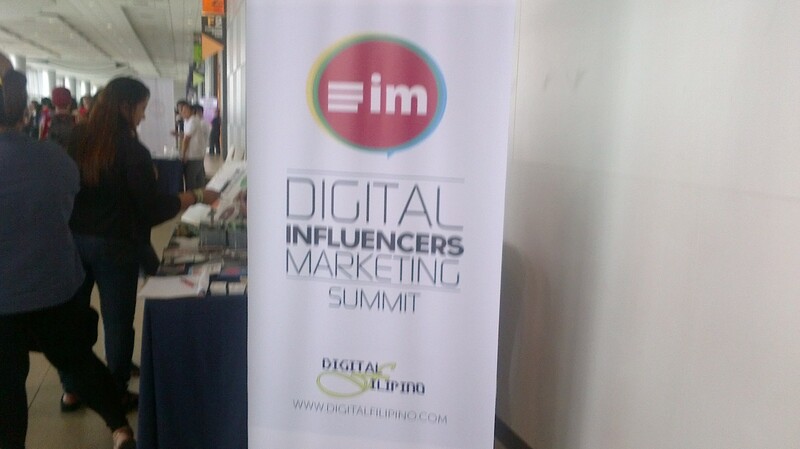 When I received an invite from Digital Filipino to attend the Digital Influencers Marketing Summit, all I could think of was: What is this all about? Who or what is a digital influencer? I never imagined what I was doing (blogging) was “socially influencing” the public through the Net. So I thought: I HAVE TO ATTEND THIS! 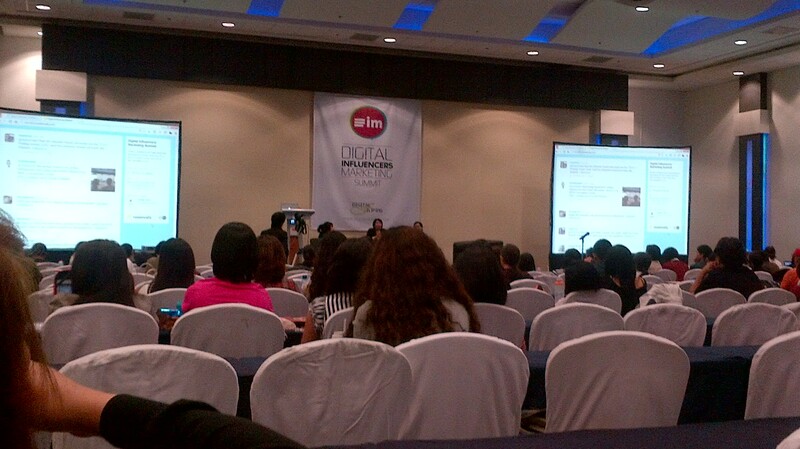 Attending a convention where like-minded people was such a dream, and the Digital Influencers Marketing Summit 2012 was just that for me. Held at the SMX MOA in Pasay City last September 29, 2012, the event was attended by bloggers, programmers and techies from all over the Philippines. It was a dream even to be able to interact and communicate with bloggers who were apparently dominated by young people. 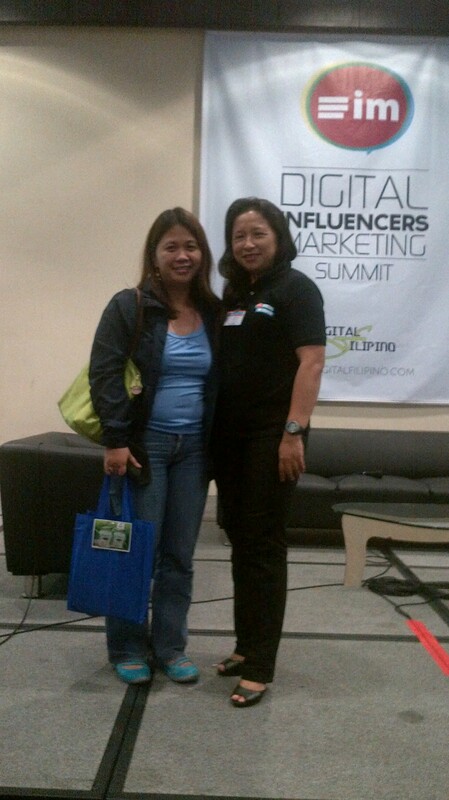 Organized by Janette Toral of Digital Filipino, part of the affair recognized the top 10 bloggers for 2012. Unlike the previous years, majority of the blogs who made it this year were travel blogs (personally, my favorite! ), among them were Pinay Thrillseeker and The Urban Walker. And I must say, these blogs are really informative! Opening the affair was none other than Janette Toral, who gave a brief information on the trends in blogging in the Philippines. Other topics discussed during the summit was the Cyber Crime Bill by Atty. JJ Disini, Bloggers as Influencers and Brand Advocates by Maita Siquijor, and Building Relationship with Influencers and Brand Advocates by Rosario Juan. An open forum was also provided at each segment of the program which allowed attendees to post questions to keynote speakers. The afternoon session included a part were attendees can pitch there company or advocacy. I was naturally interested, since I thought that it could be the perfect venue to promote my business and advocacy as well. So submitted I did, and WOW! I’ve talked in front of people before, but in such a big venue…. well you get the point. Without really practicing my pitch, I presented Booklatin Philippines as it really is, an ebookstore selling ebooks authored by Filipino writers. I briefly talked about my advocacy in promoting the habit of reading to the young and the construction of a mini library in our small community. After my pitch, I got people discussing plans with me. I was able to connect with like-minded people who shared the same advocacy as I have. Simply great!!! I look forward to attending the next influencers summit next year, and connect with newbies who share the same passion and advocacy as I do! And thanks for giving me that opportunity! It meant a lot to me. Hi Cris. I love traveling too, and when I travel to a place I’ve never been to, I always make sure to read Pinoy travel blogs because we almost always look for the same interests. Keep on writing and hope to meet you again next year. It was nice meeting you, Song. Congratulations and continue to inspire and empower other Filipino Writers. You too Ben! See you next year! Will keep in touch.